An image that depicts all the ranks and insignia used by the navy personnel, enlisted and officers, of the member countries of the North Atlantic Treaty Organization (NATO). 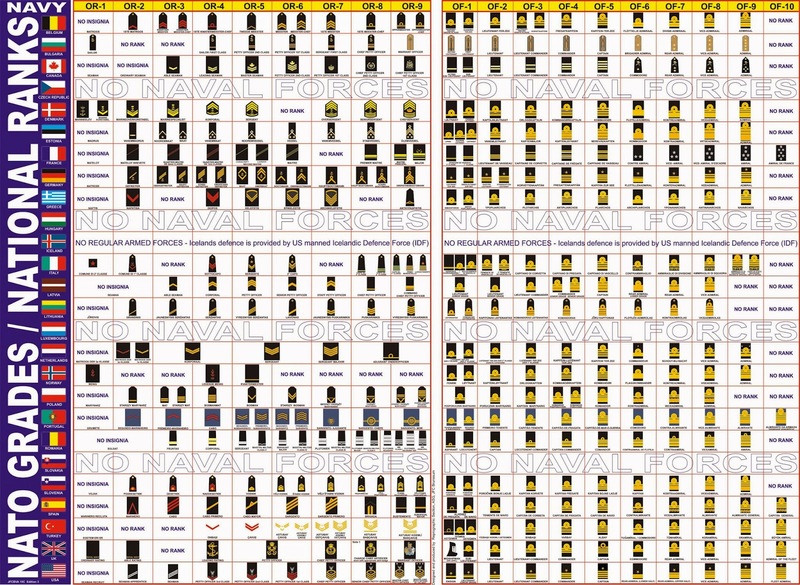 Click to enlarge and save the image to view the details: naval ranks and insignia of NATO. For high resolution click here.